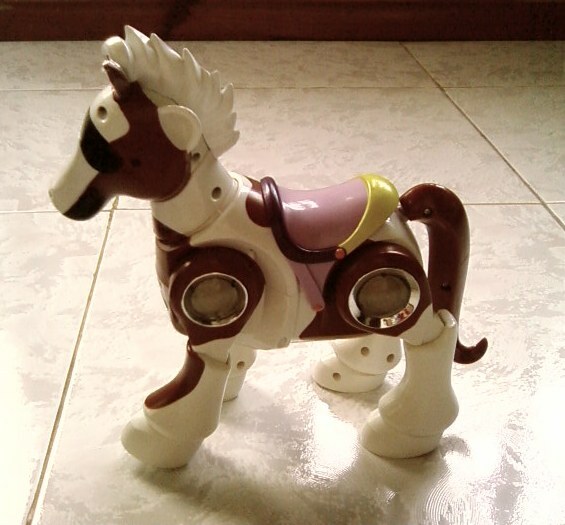 Techno is a female horse or a colt. She was given to Elijah by his ninong Dane and ninang Patty as a birthday present. She walks here and there, she knows if she’s about to (mabangga). She chew her apple when she’s hungry, takes a bath, dance, neigh and respond when we call her. 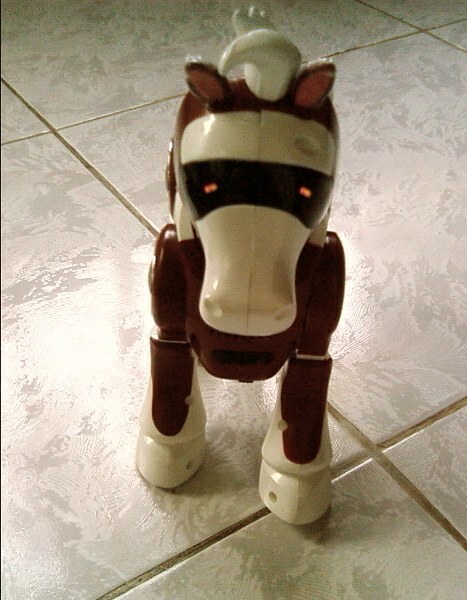 She is too much for a battery operated horse that’s why we love her, or may I say “I” love her.